Should You Use a Regular Bed Mattress as an RV Mattress? One of the most common problems that you will likely encounter is that it won’t fit in the space you have in your trailer, RV or fifth-wheel. Many times, an camper mattress will have a corner or two cut out or it will have very specific dimensions and contours that you just won’t find in a household one. On the other hand, there aren’t really “standard sizes” for rectangular RV mattresses, (and certainly not for cut corner ones). 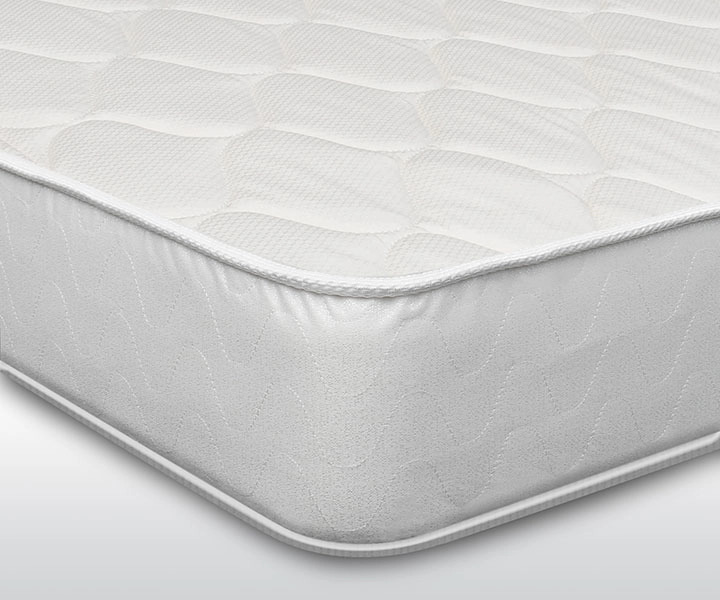 Therefore, your best bet when looking for a replacement is to actually measure the platform the mattress will sit atop, and order accordingly. Additionally, when you use a household mattress, chances are you will get something that is too thick to fit your space requirements. This is especially true if you have a pop-up trailer and need something with a fairly low profile or if the mattress is going to be used on a bunk bed in a trailer. Even if you are able to find one that has the correct dimensions for your bed, chances are there will still be problems fitting your exact space requirements. Depending upon the dimensions and materials used in regular mattresses, these items can weigh anywhere from 55 pounds (twin) to over 180 pounds (king.) When it comes to driving around the country, every pound counts! 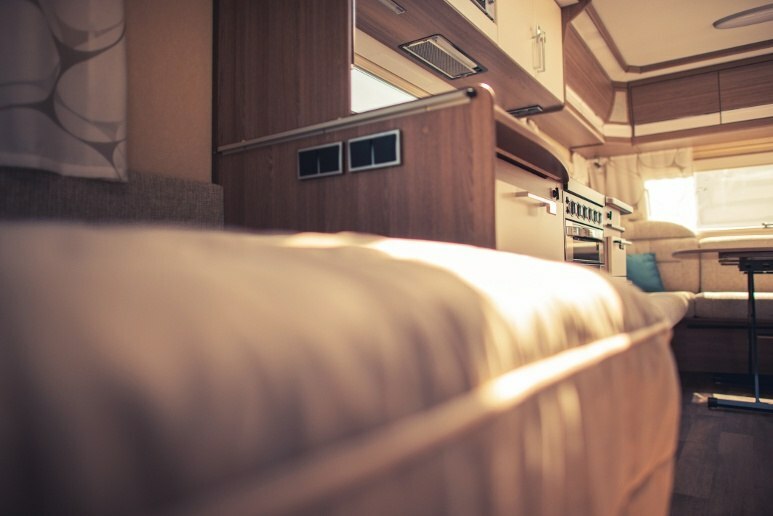 For this reason, light motorhome mattresses made from foam are preferred, as these typically weigh less than their metallic innerspring counterparts of the same size. They’re also easier to maneuver around in the camper, and are shipped rolled up for easy deployment once the package is inside your motorhome. (Don’t worry, it will regain its normal shape within a couple of hours, depending on the quality of the foam). Finally, compact and lighter mattresses are much easier to deploy when they need to be lifted above your head, as is the case of bunk beds and overhead cabs. 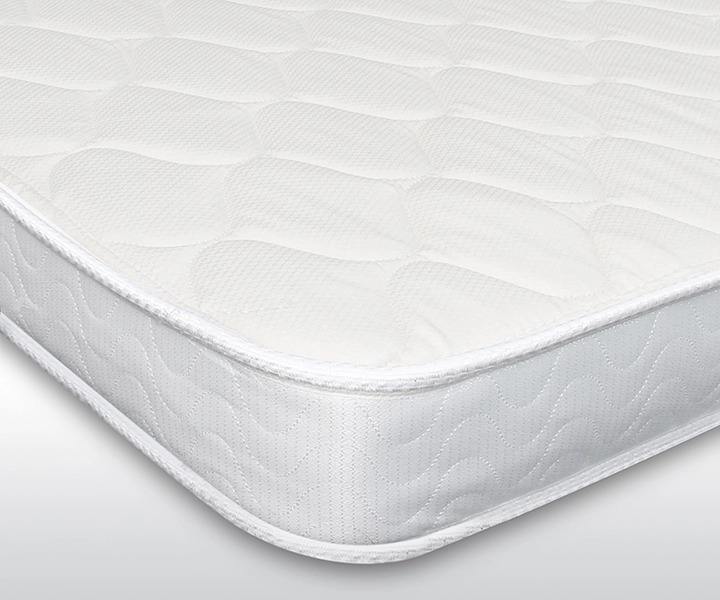 Another concern is that mattresses designed for home use are not built to withstand the rigors of being used in a camper, thus leading to premature deterioration and other problems.They are typically made from materials that will not hold up well in the heat, cold or fluctuating extreme conditions that typically exist inside a motorhome. A quality RV replacement mattress is made out of materials designed to hold up even under the conditions typically found in this type of environment. Foam mattresses are often used for use in an RV because the foam that is used in manufacturing will be able to withstand the extreme temperatures often found in recreational vehicles. Additionally, foam is not only fire retardant, but it is resistant to mold and mildew something that is common in vehicles that are left unoccupied for many months. Of course, mattresses built specifically for these vehicles will also have ticking that is designed to withstand the temperatures and humidity commonly found in vehicles stored in the off-season. If you’re looking for a replacement mattress for your RV, trailer or fifth-wheel, even if you need a custom size, you can find one at an affordable price. We have several models that are available in standard and custom sizes (rectangular or cut corners), Check them out below!